Department of Homeland Security Secretary Kirstjen Nielsen has ordered the immediate expansion of a program keeping asylum seekers in Mexico while they await their case decisions. The expansion would affect hundreds more asylum seekers every day, according to a press release on Monday. Last month, the border patrol had been encountering around 20,000 immigrants every week attempting to illegally cross the border — levels not seen for years. Detention centers are overcrowded, causing border officials to almost immediately release many family migrants. The remain in Mexico policy is currently in effect at the El Paso port of entry as well as Calexico, but Nielsen has directed Customs and Border Protection to plan for an expansion to new areas as well. Nielson also directed CBP to accelerate its plan to move as many as 750 border patrol personnel currently working at legal ports of entry to areas struggling with the surge of migrants. She also authorized that they increase that number to as many as 2,000 officers. Moving agents away from legal ports of entry could slow the process of entering the country for immigrants with legal visas, as well as impact the transportation of goods across the border. During a rally Friday in Michigan, Donald Trump took to mocking the poor and desperate migrants who are coming here from Central America in droves to save their families’ lives. 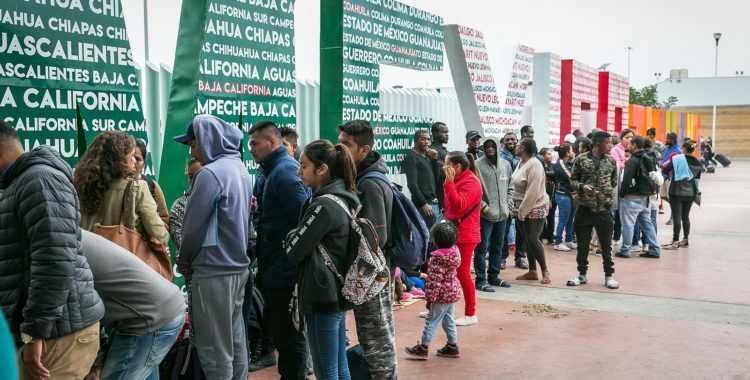 This is in addition to Trump’s recent threat — closing the southern border — if Mexico doesn’t do more to stem the flow of migrants traveling through Mexico from Central America to the United States. His childish comments making fun of asylum seekers are meant to please his adoring fans. If you or a family member feel that you have a credible fear of returning to your home country, it is imperative that you seek legal advice immediately as the asylum laws may become tougher.